When it comes to movies, there is a word that is dreaded more than welcomed: Reboot. Though that is not usually the case for Video Games. People went wild over the Tomb Raider reboot in 2013 and fans still clamor for a Final Fantasy 7 Reboot. For Video Games, Reboots are usually great. 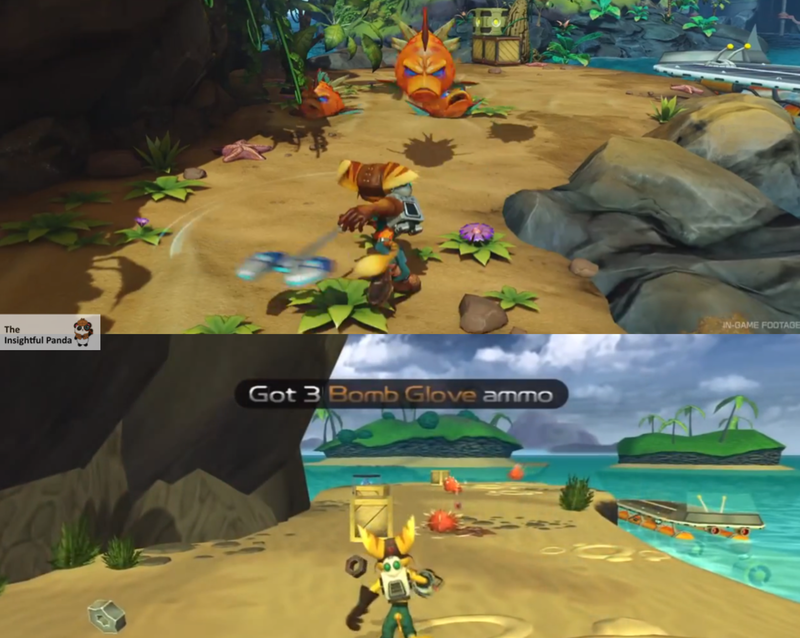 Rather than just a simple “Remastering”, here a Reboot usually means bringing the modern day graphics and innovations into a timeless story, while also exploring some things they couldn’t the first time around – and that is exactly what is happening with the PS2/PS3 series Ratchet & Clank. In 2016, Ratchet & Clank will be getting their own movie and it will detail how our favorite Lombax and Robot companion met, which was the focus of the original Ratchet & Clank game from 2002. So will this film – and its accompanying game – erase that original origin story? The short answer: No. The full answer will be explored below as we look at the Trailer and Press Release for the all new – yet the same – Ratchet & Clank. 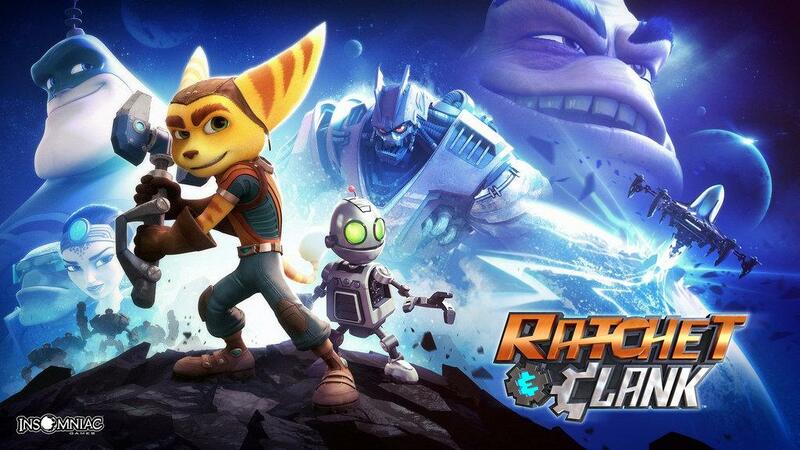 Considering it’s been over 10 years since Ratchet & Clank first came out on PS2 and became the proper successor to Spyro The Dragon – that’s an article for another time – it’s understandable if you don’t remember too many specific things about the original game. Sure the story might still be in your mind, but what planets were there? We’ve visited countless ones over the years and have fought many different opponents. It’s hard to remember which were where. Well as this trailer slowly – and sometimes quickly – cuts in and out of random worlds and scenarios, we can’t help but think … this looks familiar, VERY familiar. Spoiler Alert: It is! If you had any questions about whether or not this game would be a completely new story or not, cast your fears aside because judging from this trailer the game is strikingly similar to the original in location and purpose. Sure the famous hoverboard races and Metropolis scenes are iconic, but if you actually look closer you’ll see everything you loved about the first game is returning. For example, check out the above composite images of a redesigned Snagglebeast, massive Blarg Tactical Research Station and the war-torn Novalis. These images are strikingly familiar and yet they’ve been redone so incredibly – both graphically and gameplay wise – that they seem completely new. Which brings us to out next segment. Up The Arsenal Graphics & Controls! The scenary might be familiar, but the way Rachet and Clank interact with it has been completely revamped. Again, it has been over 10 years and since that game there have been numerous improvements. From the Weapon and Armor upgrades of its sequel Going Commando to all the Clank powers and bot-controls of Crack In Time, the series have come a very long way in terms of complexity and navigation; and this trailer demonstrates that all of that is being brought to this classic. This game – and the movie – will do everything to honor and take from the original game and story, but now with the more advanced lens that we’ve become accustomed to with this series. Though it’s not just a simple ‘redesign this’ or ‘make this look better’. This isn’t an HD rendering or even a simple retooled remake, but actually has some attributes all of its own that were never seen in the original or other series entries. Future Tools Of Destruction Awesome! It’s not just about adding in later gameplay developments but also bringing into play returning fan favorites as well as components that are completely new. From a weapons standpoint, this can mean returning favorite weapons such as the Groovitron or new favorites such as the Pixelizer (which turns your opponents into exploding pixels). FroAs for the story standpoint, that remains to be seen. We know it is close to the original planet-harvesting/forming of the original game since we see Chairman Drek on the cover. Though it with new boss battles and planets, its safe to assume this game is expanded quite a bit. Could this mean story-wise that we will see Qwark take a slightly different course and get redemption in the same film? Will we learn right from the get-go that Ratchet is one of the last of his kind? There’s still stuff that we don’t know, but with E3 around the corner we’re sure to learn more. Though either way, there is already enough to be excited about and I for one can’t wait to see this PS2 classic revived in all it’s glory on PS4. Forget the Co-Op and Multiplayer forays of the past, Insomniac is going back to basics in a big way, and that is something Ratchet & Clank fans have and will always love.